Injectable fillers are used to add volume to lines in the face or to the lips. These hypoallergenic fillers are non-permanent and the results typically last from 4-10 months depending upon the each patient’s lifestyle and amount of facial animation. Areas typically treated with injectable fillers are the naso-labial lines that surround the nose and mouth, the lips to add shape and volume and the cheek bone area to add definition and a more youthful appearance to the face. We try to avoid permanent fillers as a small percentage of patients develop a reaction which is called a granuloma and this lumpiness is very difficult to treat. 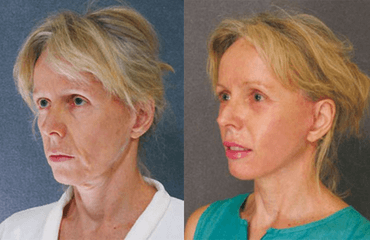 Another reason permanent fillers are not advised is because as the face ages, the filler will remain static and not be in harmony with the aging face. The effects from your anti-wrinkle injection should last between four to six months. However, if your body metabolises the substance quickly or if too little toxin has been applied, then the effects may fade after two to three months. What Are The Long-Term Effects Of Injecting A Poison Into Your Body? There are no known long-term side effects from anti-wrinkle injections. It is worth noting that the injectable is not a “poison”, rather a medical grade purified protein.